Until recently, Grifols, the Barcelona-based healthcare company, had a very low profile in the United States. In 2011, that all changed when the company acquired Talecris, one of the biggest American bioscience companies. That single transaction more than doubled Grifols’s headcount and its network of plasma donor centers. And, its aggressive growth has continued since then: it recently added manufacturing sites in California, and it began construction of a new site in North Carolina that will become the biggest fractionation facility in the company’s network. That kind of growth has presented considerable challenges for Miguel Li-Puma, Grifols’s vice president of human resources for North America. He is faced with the prospect of having to identify up to four thousand new hires annually. “Clearly, our talent needs are much more substantial than they used to be, so we’re in the process of making ourselves better known and more attractive to prospective US employees,” Li-Puma says. To accomplish this, he has broken with company tradition by building relationships with outside partners rather than handling everything internally. Li-Puma refers to it as a hybrid approach to talent acquisition, in which Grifols still focuses on specialized, hard-to-fill roles while outsourcing the recruitment of high-volume openings. After a six-month pilot, during which Li-Puma traveled with senior managers to establish relationships with the outside recruiters, the hybrid program has dramatically streamlined the hiring process. Positions are now filled in thirty-one days—half the time it used to take. A second initiative is under way, in partnership with the corporate communications office, to help develop a clear branding message for the company. Li-Puma has introduced a number of new strategies that have broadened career-development opportunities for new and existing employees. To help address the complexity of the global marketplace, Grifols is developing training programs for senior leadership, in conjunction with Duke University, in the United States and another to-be-determined, top-level business school in Barcelona. 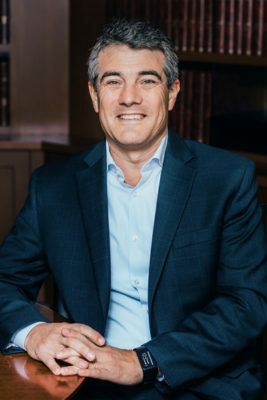 In addition to increasing the number of international assignments for managers and other executives, Li-Puma has overseen changes to solidify staff retention and engagement. Surveys have been conducted to identify areas of concern for manufacturing-site employees, compensation models for commercial groups have been adapted to make them more interactive, benefits packages have been revised to ensure they stay competitive, and recognition programs have been developed for outstanding performers. Several of these types of programs, including the commercial compensation model and the Presidential Awards for best sales representatives, have been integrated into a global platform that will soon be in place in Spain and all affiliate offices around the globe. By staying informed, connected, and proactive, Li-Puma tailors all his efforts and innovations to the needs and challenges of Grifols’s business lines. To that end, his HR department hosts monthly roundtable forums with its business partners to discuss ongoing priorities and challenges. But the exchanges don’t stop there. Li-Puma combines such formal events with informal, spontaneous conversations that might happen over a shared coffee break. He also encourages his team members to ride along with sales representatives or to visit donor centers to get firsthand experience that can help develop their strategic understanding of the business. As Grifols continues to extend its reach, Li-Puma keeps looking for new and better ways to make it an even more attractive place for careers to grow. Cielo is the world’s leading strategic Recruitment Process Outsourcing (RPO) partner. Under its WE BECOME YOU™ philosophy, Cielo’s dedicated recruitment teams serve 143 clients across 91 countries in 33 languages. Cielo knows talent is rising – and with it, an organization’s opportunity to rise above. For more information, visit cielotalent.com.